We all love gifts! No matter how small a gift is, it is a gesture that tells us that we are special for someone and someone cares about us. A thoughtful present rekindles millions of memories and reminds people about the love and affection given to them. And when it comes to finding a gift for a woman, it gets all the more difficult. And, the best and the safest bet is a beauty-gift. Every woman loves and uses beauty products. They never get bored of them. So, now if you are wondering what beauty gift to give to your wife, mother or girlfriend, then take help of their Zodiac Sign. You can also look at their free horoscope predictions before you buy them one. So, let’s take a look at the best beauty gift for each Zodiac Sign and get your confusion sorted. Aries are confident, beautiful and bold. They desire something that could reveal their free-spirited attitude. You can gift them a rainbow palette that gives them options to make a beauty statement according to their mood. See your Full Aries Daily Love Horoscope! After the reigning assertiveness of Aries, its time to welcome the earthy Taurus with its strong grounded nature in the next season of Zodiac calendar. The new season will arrive with the transition of the Sun in Taurus sign between April 20 and May 20. Things will no more be the same as it were in a season of the first zodiac sign. The stubborn bull and Ruling Venus will change the way you used to view your life. But will it be the changes you wanted or will it demand you to make changes in yourself? #Taurus is the first earthy sign of the zodiac which urges you to stick to your roots and allows you to revel in all the earthy pleasures. It reminds us that we need to slow down and don’t rush towards things to get our way out. Things will work on their own sweet time and you will see the fortune turning towards you. But, all it will require is patience. The last four weeks of Aries season might be full of aggressiveness and exhausting and this season is for making up for the same. Astrological Event of Jupiter Retrograde 2019! During the Taurus season, you might get a little overburdened by the tedious working shifts and still feel guilty about not meeting the actual efficiency required in the work. It will be the time when you need to set an eye over every detail and ensure high quality in work. Take things easy and handle them with a practical approach. Enjoy these four weeks of Taurus and let all things unfold with time! Life becomes really hard when you are unable to convey your true feelings to someone. People often mistake you for the things that you never said or never meant. It is impossible to ignore the significance of communication in our lives. And the way in which one converses or expresses plays a relevant role in making or breaking things. A right way can get you applauses and something misconstrued may ruin things for you. To acquire an effective communication style, you must recognize that we all are different and have a different perception of the world. This understanding comes from the divinity which is shared in Horoscope Predictions of your Zodiac signs. Each zodiac sign has a different communication style and if you are striving to learn what is yours, then scroll down. Your Zodiac Sign will help you understand your communication style better! Ram, you are headstrong and say only what you mean. You convey your thoughts clearly and don’t believe in beating around the bush. Your free-spirited nature gives you the courage to speak frankly on any matter. You like to make a clear and straight forward way of communication which often tends to hurt people around you. Read your full Aries Career Horoscope! The science of Quantum tells that we are all connected. Even a small change in the Universe has the potential to lay a deep effect on the life of tiniest organism on the Earth. Retrograde is such a change that has the ability to affect the horoscope and bring drastic changes in people’s lives. In 2019, from April 10 to August 11, the world will witness the retrograde of Jupiter through Sagittarius. It will return to its sign on November 5th, 2019. It will hugely impact the lives on Earth, so, it becomes highly significant to know about this astrological event and its effects. Retrograde literally means a backward step. It is an optical illusion in which a planet appears to move opposite to its direction through the zodiac. This retrogradation occurs when the planets are close to the earth. Due to this closeness, the impact of this planet retrograde reaches everyone on Earth. The retrograde depends upon the pace of movement of planets. The more its pace, the lesser time it takes in the retrograde period. Free Love Reading! 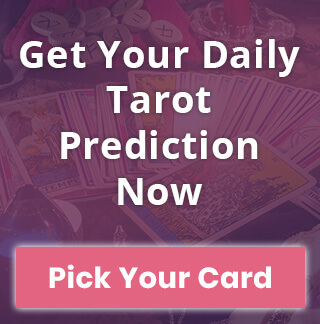 Get an interpretation of your cards with just a few clicks! The effect of planet retrograde varies as per the ruling qualities of planets and their zodiacs. According to Vedic astrology, when a planet retrogrades, the qualities which the planet represents, may become repressed or may get expressed more internally or externally on the people’s lives. Brace yourself for the unexpected! With the New Moon in fiery Aries on April 15, the assertiveness of Aries season is empowering all the zodiac signs. The fiery Aries is the first zodiac sign and symbolizes positivity and super dynamic energy of the universe. It brings back life on earth with spring season and revives and rejuvenates everything around. The new moon in Aries will bless all the zodiac signs with more power and will also bring drastic changes in everyone’s lives. Aries, you will get everything that you desire! This is your season which has made things more special for you people. You will be filled with positivity and good vibes. Fearlessness and impulsive attitude will help you to take new challenges and come out as champion. But beware! Don’t let overconfidence rule you. A single mistake can ruin whatever efforts you have made till now. Read your Aries Free Yearly Horoscope. The equinox marks the day when the length of the day and night is the same all across the world. The word “Equinox” is from the Latin language and its literal meaning is “Equal Night.” The Spring equinox is also called as the vernal equinox or the March equinox. And, this year it will fall on 20th March 2019. Wednesday. In the Northern Hemisphere, this day is called the first day of the Spring. This day symbolizes the “Change in season” and from this time, the days become longer and the nights shorter. In the northern hemisphere region, people begin to enjoy the onset of the spring season and warm days. However, the people who live in Southern hemisphere welcome the Autumn season. Want to know what this day will bring for you? 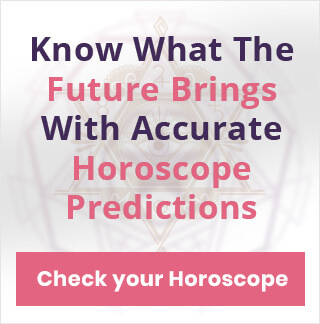 Get your free horoscope prediction on this day of the spring equinox. The mark of the beginning of Spring season is the Vernal equinox, and it is always on either of 3 dates in March, i.e. 19th, 20th or 21st March. This year, it will occur on 20th March 2019 at 5:58 EDT. The rotation of the Earth is on an elliptical path around the Sun, and hence the Spring Equinox does not fall on the same day every year and can occur on any of these three days.